Oct. 2017 marked the 23rd consecutive year that WWW has been held worldwide. Every October, Webster students from across the globe participate in a community service event, Webster Works Worldwide (WWW). Joined by staff and students alike, the day provides a wonderful opportunity for the Webster community, both past and current, to volunteer with a variety of not-for-profit organizations and to assist with their projects. 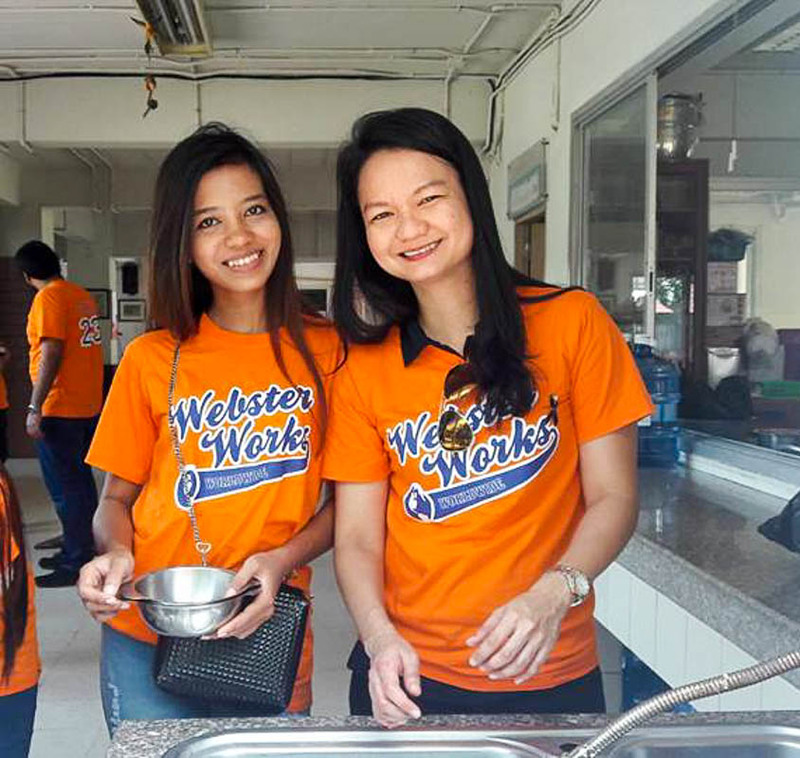 Webster Thailand students in Bangkok and Hua Hin/Cha Am observed the 23rd annual Webster Works Worldwide on Oct. 28, 2017. 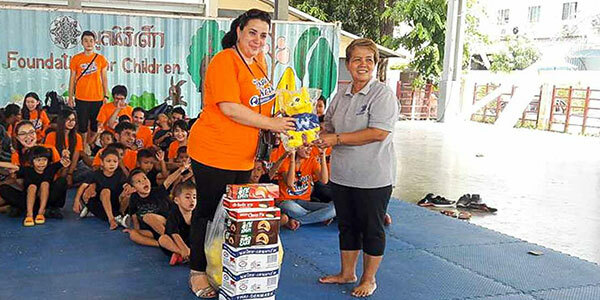 In Bangkok, the Student Government Association, in collaboration with the Student Affairs Department, organized a visit to the Baan Tan Tawan Foundation, an organization supporting underprivileged and orphaned children. Students, faculty members and staff from Webster’s Bangkok campus dedicated their morning by singing, telling stories and painting with the children. with local agencies that serve children. In Hua Hin/Cha-Am, the Rotaract Club, in conjunction with the Student Affairs, organized a full-day visit to the Brain & Mind Disabilities Center in Ratchaburi province. The team of volunteers spent their day cleaning the center and playing games with the children. Volunteers also took the time to distribute food and toiletries. Read the full story at Webster University Thailand here. Since the start of Webster Works Worldwide in 1995, over 32,000 volunteers have given more than 141,000 hours of service.